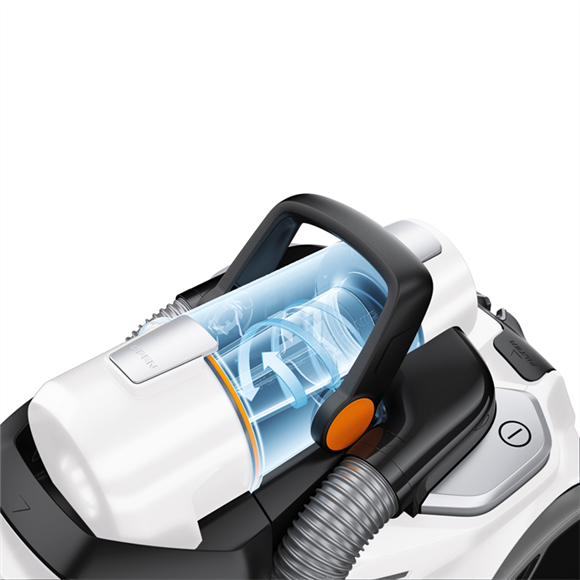 The twin inlet channels optimise airflow and suction whilst the turbo cyclone spins air at an impressive 140km/hr to efficiently separate the dust. 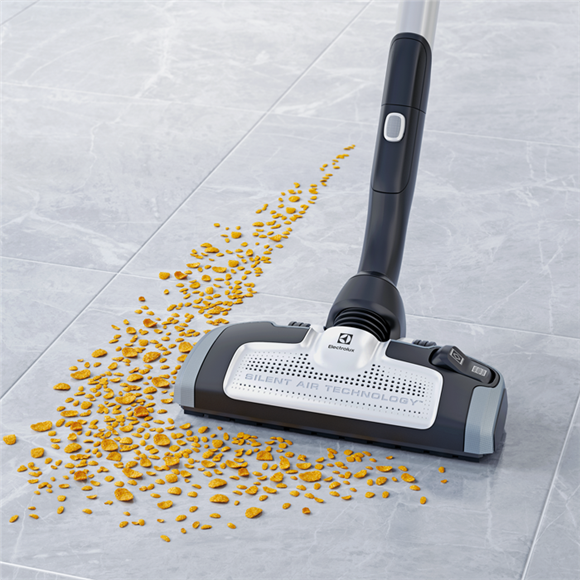 Offering a compact and light design UltraFlex is very easy to glide and store. 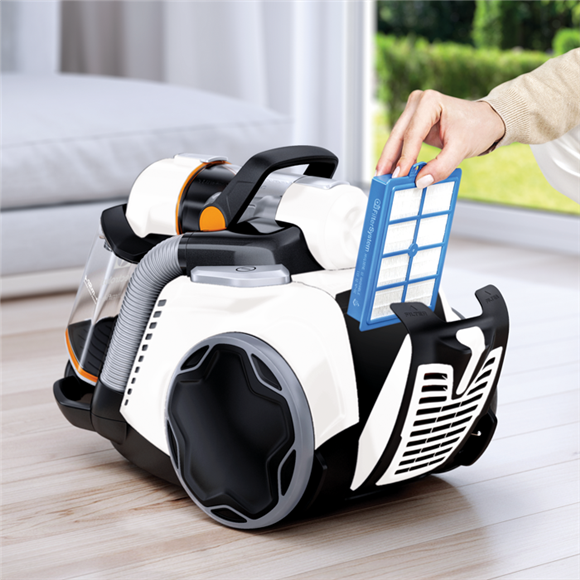 Its front multi-directional wheel allows you to move the vacuum in any direction and its clip-on hose reduces storage space. UltraFlex can also be stored horizontally or vertically, giving you more flexibility. 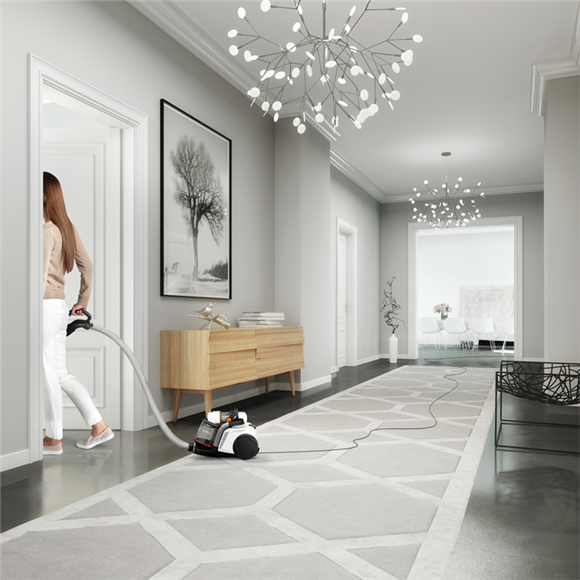 Lastly, UltraFlex has an extended cleaning reach of 12 metres to allow you to clean large areas without having to change power points. 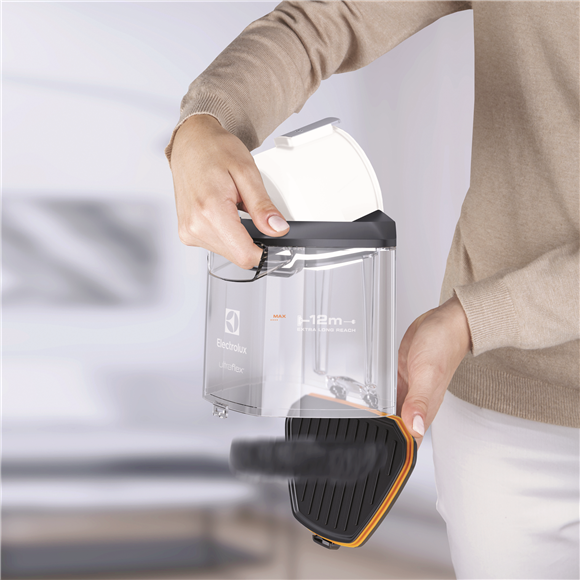 Dispose of dust quickly and easily with the easy to empty dustbin. 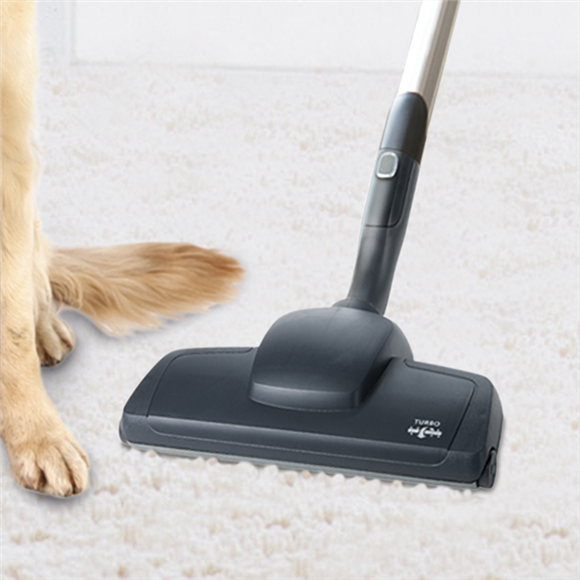 UltraFlex includes the AeroPro Extreme nozzle which is suitable for both carpets and hard floors and features a V shape design to increase airflow and suction.